Gardens at the place of business are used to train employees and to showcase work to clients. In 1995, Pam McCormick and her sister started a business caring for other people’s gardens. McCormick’s son Mark began working for the growing business and her sister then left to pursue other interests. Together, the McCormick’s love of plants and stone has grown Simply Landscaping & Garden Designs into a business that prides themselves on educating both clients and employees and on their commitment to standing behind the work they do. 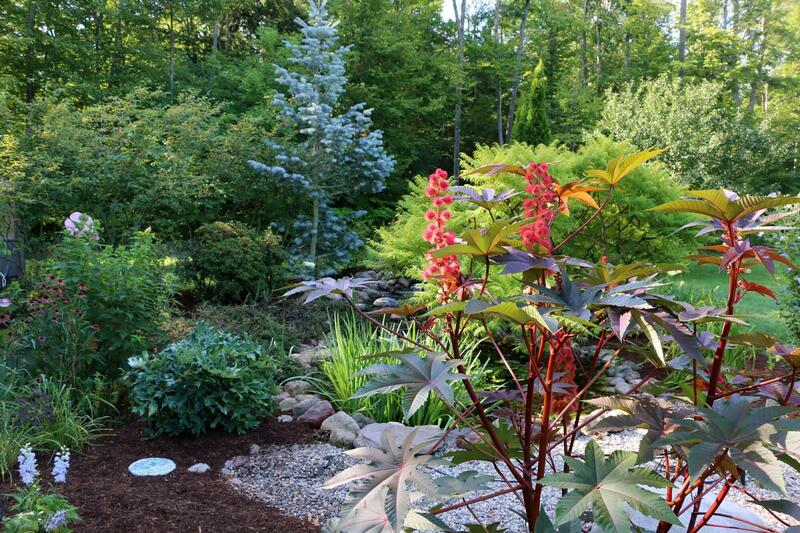 Located in Odessa, Ont., Simply Landscaping has been a Landscape Ontario member since 2004. McCormick currently holds the position of treasurer on LO’s Upper Canada Chapter Board, which she’s been a part of since 2008. Now a Certified Landscape Professional (CLP), McCormick recalls the main reason she joined LO after starting her business was because of an article she saw in a local newspaper. The front page story was about a man who borrowed $100,000 from his elderly neighbour to start doing local landscaping jobs and then went bankrupt, losing the person’s life savings. “I wanted to differentiate myself from that type of person,” McCormick explains. Whether it’s maintenance, design or installation, McCormick, spends a lot of time educating clients and potential clients on the many benefits of using a landscape professional over a cheaper, fly-by-night company. The first thing she explains is her staff “are trained professionals who hold certifications and have been, or are enrolled in the Apprenticeship Program. Plus, the business carries liability insurance, WSIB and trucks are properly insured and maintained” so naturally, her pricing for the job also reflects those investments. McCormick says “people don’t seem to mind spending a lot of money on landscape installation,” once they know about all of the factors involved. About 90 per cent of Simply Landscaping’s business is mid-sized residential construction in Kingston. McCormick keeps her four, full-time employees busy with additional clients in an area that stretches from Deseronto to Gananoque and from Parham to Bath. Many are repeat customers and referrals, as word certainly gets around in some of the smaller towns. All hardscaping work comes with a five year guarantee. McCormick even has one client in a golf course community Bath, Ont. who makes a point of letting new residents know about his great experience with Simply Landscaping. The client enjoyed his new landscape so much that he hired McCormick again to revitalize a large roundabout outside his home that had fallen into disrepair after many years (the golf course provided soil and mulch). 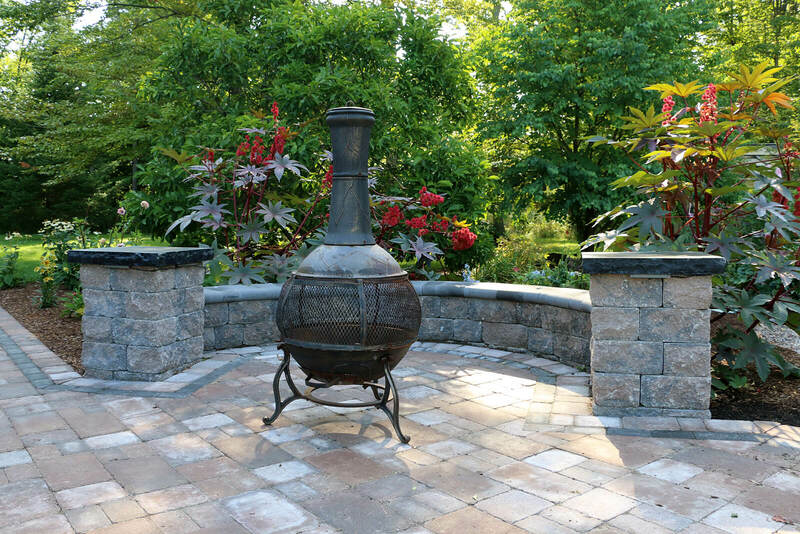 Hardscaping for the company is done by son Mark who has completed the Apprenticeship Program at Kemptville College and is also an Interlocking Concrete Paver Institute (ICPI) Certified Paver Installer. McCormick feels the off season is a great time for education and in addition to Mark, one other employee has completed the Apprenticeship Program and three other employees have been signed up for the program this winter. McCormick says the new spaces recently made available at nearby Loyalist College in Belleville are a direct result of her employees participating this winter. McCormick says in addition to helping with employee retention, the Apprenticeship Program makes the difference between a job being just a job, or it being a career. “It’s a career when you keep them engaged over the winter and they have more opportunities to learn. They also don’t have to worry about looking for a job at the end of the season,” McCormick explains. She also tries to pay her employees a little bit better than her competition, following the ‘you get what you pay for’ lesson she tries to instill in her clients — adding that employees are also more loyal if they can make a decent living from something they also enjoy doing. McCormick says working in a smaller population area does not pose any issues with sourcing suppliers or finding materials. “I have access to any pavers and I don’t really get any requests for unusual things,” McCormick says, adding unique elements are not typically part of her client’s mid-sized budgets. Dealing with suppliers, scheduling crews, doing payroll and all other office duties are all just another day of business life for McCormick, who also does all of the design and trains new employees. Like most business owners, her home is also her place of business and she’s had the foresight to build displays of her work around her property — to serve as both a training ground for new employees and as an outdoor show room for potential clients. 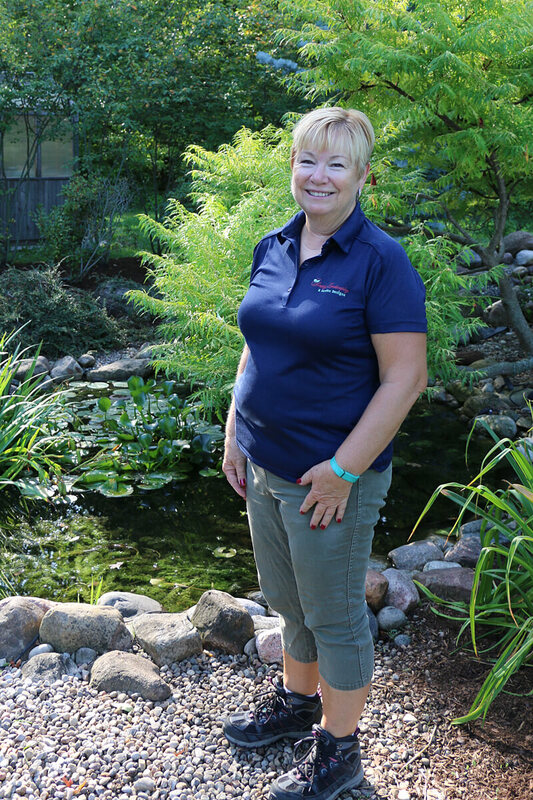 A stone patio area behind her home, complete with a retaining wall, path and lighting was built with son Mark’s supervision and a large pond, complete with water feature, statues, mulch and plants was built by employees to hone their skills. In both areas, clients can actually test drive the look and quality of McCormick’s work and easily visualize themselves in a similar setting. When meeting with a client, McCormick takes what might be a non-intuitive approach. Most companies will ask what a client would like to see in their property, but McCormick does the opposite. “I start by giving a client a simple questionnaire to find out what they absolutely don’t like,” she says, adding clients generally trust her as the professional to know what’s best for the job at hand. By eliminating what a client doesn’t like, McCormick then has the freedom to choose from the endless options available and include something the client might never even have considered. Pam McCormick, CLP and owner of Simply Landscaping & Garden Designs.